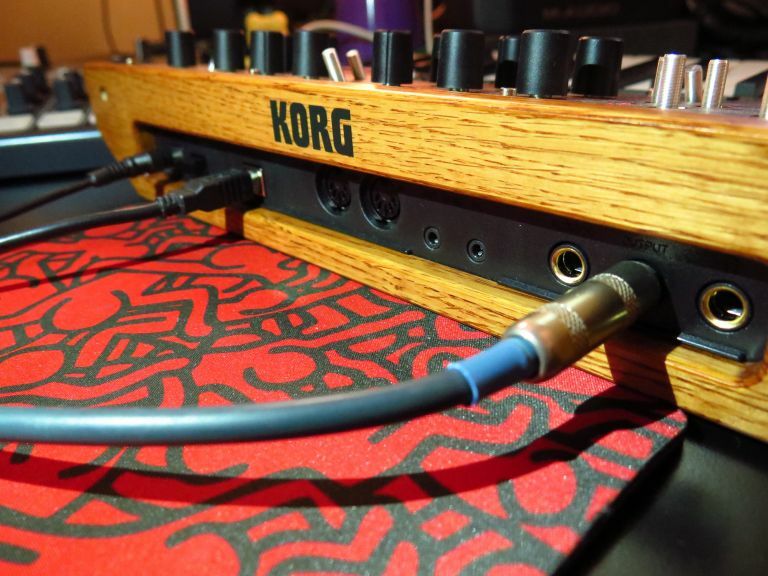 Over at the Ask Audio website is an excellent article with a comprehensive explanation of how to use the Korg Monologue – and other hardware synths for that matter – with Logic Pro. The main points of the article are summarised below. Ensure the Monologue is powered, either from the DC adaptor (separately purchased in some territories) or by batteries. Connect a USB Type B cable from the Monologue to your computer’s USB port. Connect a 1/4″ audio cable from the Monologue’s output to an available input on your soundcard. Take note of the input channel number. 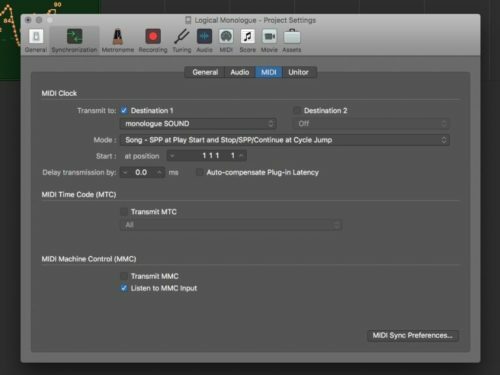 If your soundcard is more basic with fewer inputs and no software, enable the “Direct Monitoring” function if it has one. 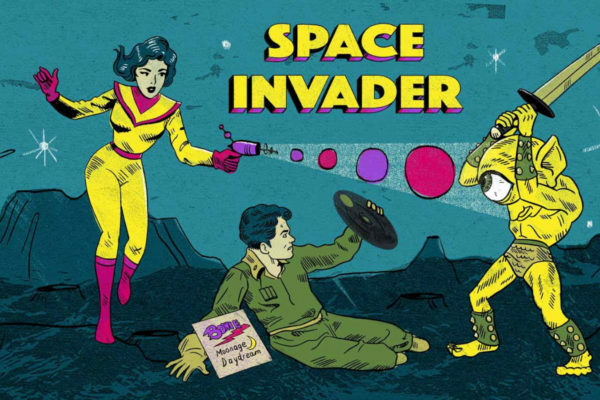 This may be labeled on your soundcard as “DAW” and Direct. One of the best reasons to monitor your hardware synth directly through Logic is that you can add effects to the signal as it’s being played live – and you can easily record both the unprocessed (dry) and processed (wet) sounds. Mute the channel coming in from the interface software or physical mixer so you don’t hear the Monologue in both Logic and the soundcard monitor software or mixer at the same time. 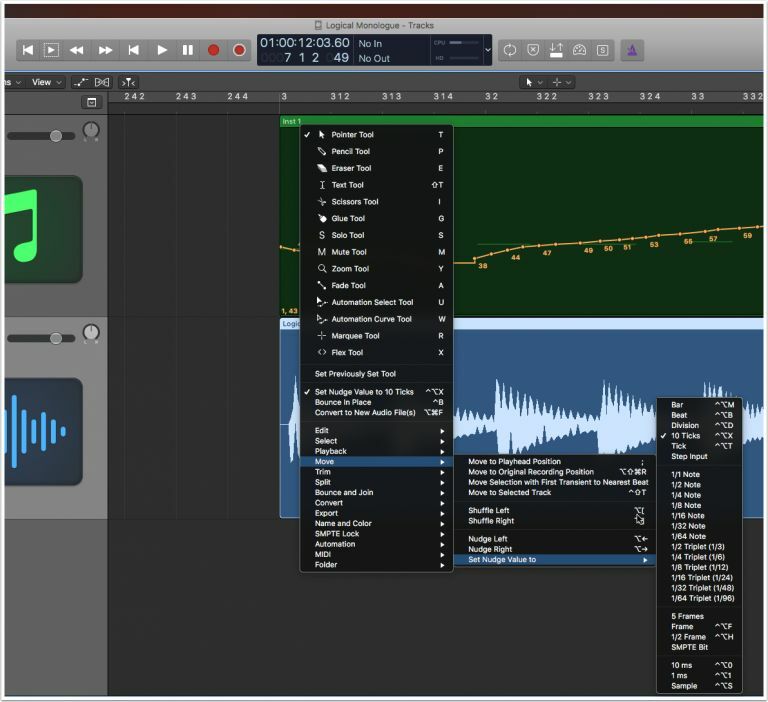 If you end up with a bit of latency when monitoring via Logic, open Logic’s Preferences and select ‘Audio’. Another option is to leave the buffer size at its current value and to check the “Low Latency” button. *NOTE: Some third-party plugins may require higher I/O buffer values like 512 for smooth operation. If this is a case, ensure that you switch back to the previous value after you’ve finished recording from the Monologue. 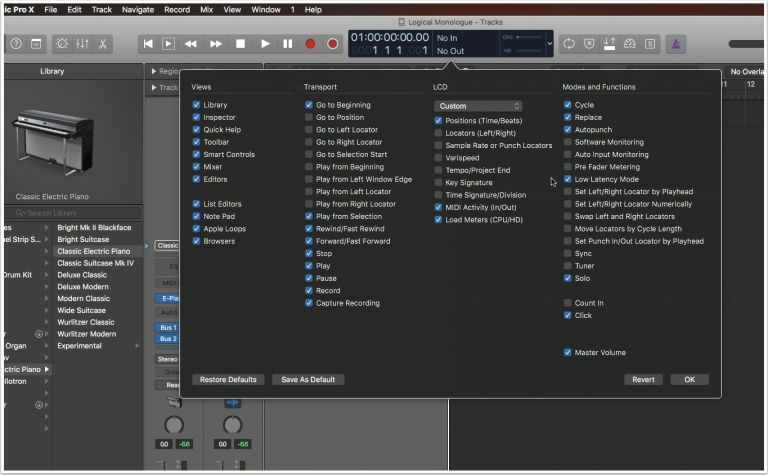 Logic Pro is highly customisable to your workflow. 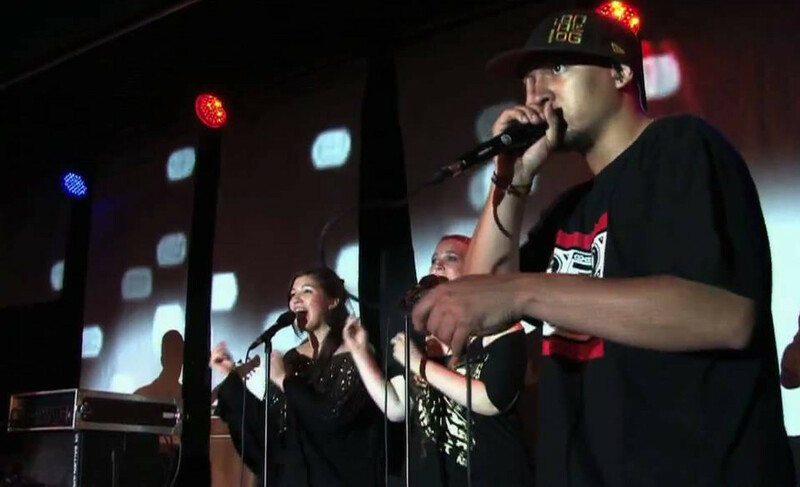 If the synth is being monitored via your soundcard or its software, then you can proceed recording MIDI. 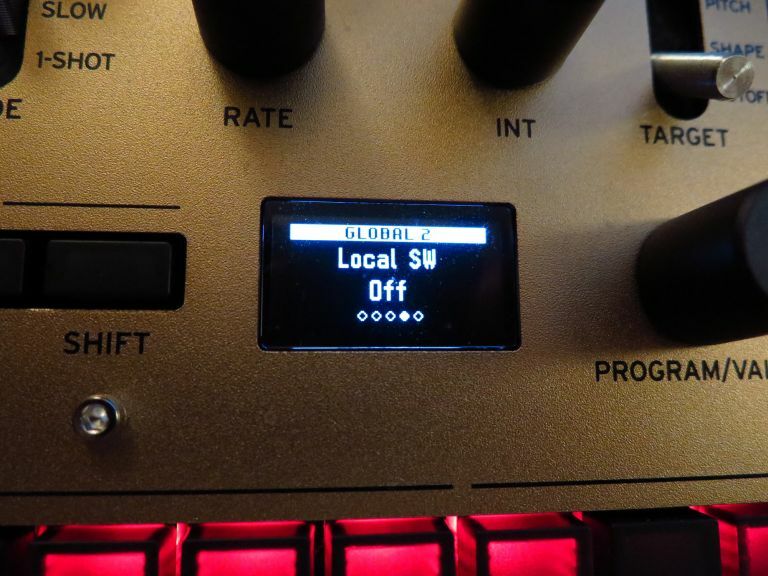 If using a different synthesizer, look in your manual to see how to switch off Local Mode. Note that when the Monologue is not being monitored via Logic AND local mode is OFF, there will be no sound coming from the Monologue when playing directly on it. The Korg Monologue has a handy little OLED screen. Once all the steps outlined above have been completed, you can record some MIDI notes into Logic. 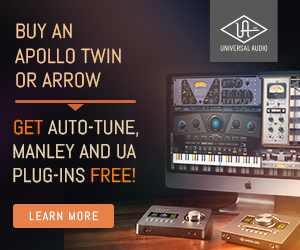 Do this directly on the External Instrument plugin – just like any other software instrument. You can play either directly on the Monologue/hardware syntheszier, or on your preferred MIDI controller. 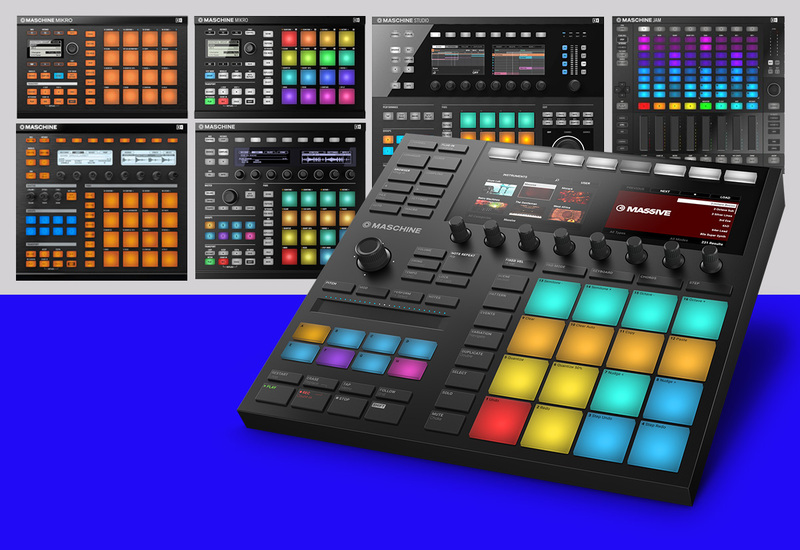 Most of the knobs and switches on the Monologue can send and recieve MIDI CC (Continuous Controller) data, in addition to the standard MIDI notes sent via the keybed itself. 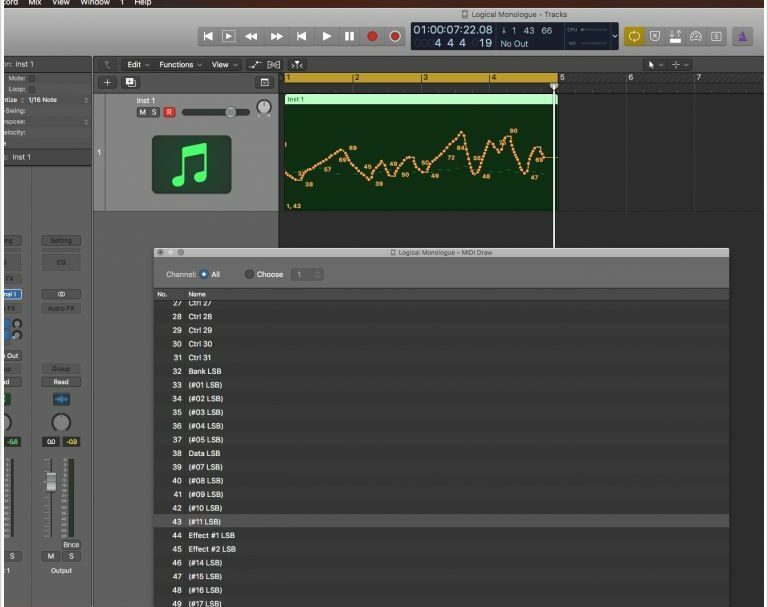 In order to record the MIDI notes and MIDI CC data simultaneously, follow the steps below. You can now record directly over your MIDI notes with Monologue’s knobs and switches by using Logic’s regular record button. To edit and view the MIDI CC data you’ve recorded, elected “MIDI Draw” in the Arrange Window/Workspaces local “View” menu. 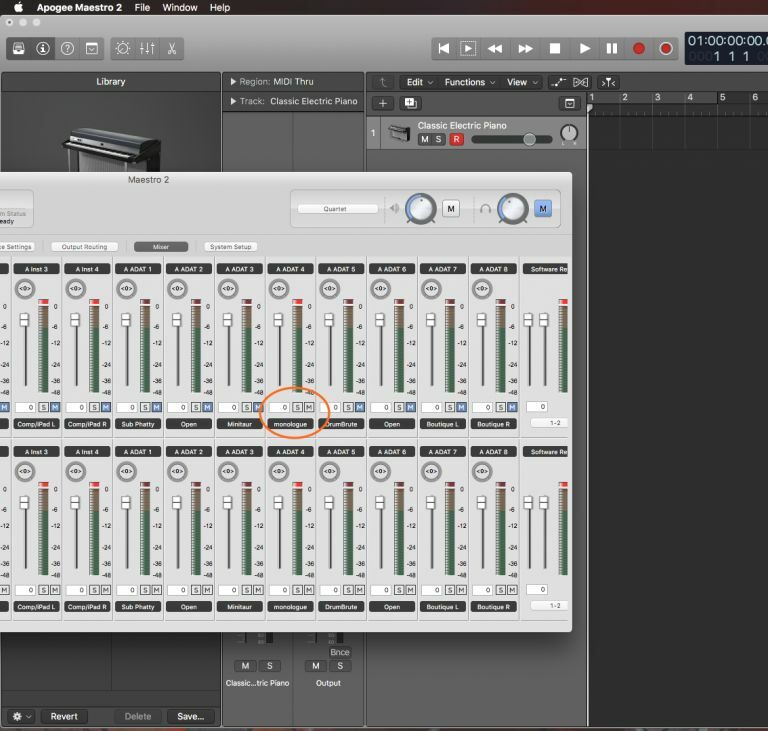 Ensure you’re viewing Logic’s “LCD” in custom view, you can do this by clicking the small downward pointing triangle on the right hand side of the LCD display in Logic 10.3 and up. It’s a simple matter to synchronise the Korg Monologue’s LFO and in-built sequencer to the BPM in Logic Pro X. Follow the steps below to set this up. In Logic, use the Option-P key command to open the Project Settings. At the top you will see MIDI Clock – check the “Transmit To” box OFF. Next, go to the Korg Monologue to set up the LFO Sync. On the Monologue, LFO is handled independently per patch. Press the Edit Mode button on the Monologue, followed by Program Edit. Navigate to the fourth page of Program Edit. This is where you can set the LFO sync to On or Off. Ensure that under Global Edit, Page 4, “Clock Source” is set to AUTO USB. 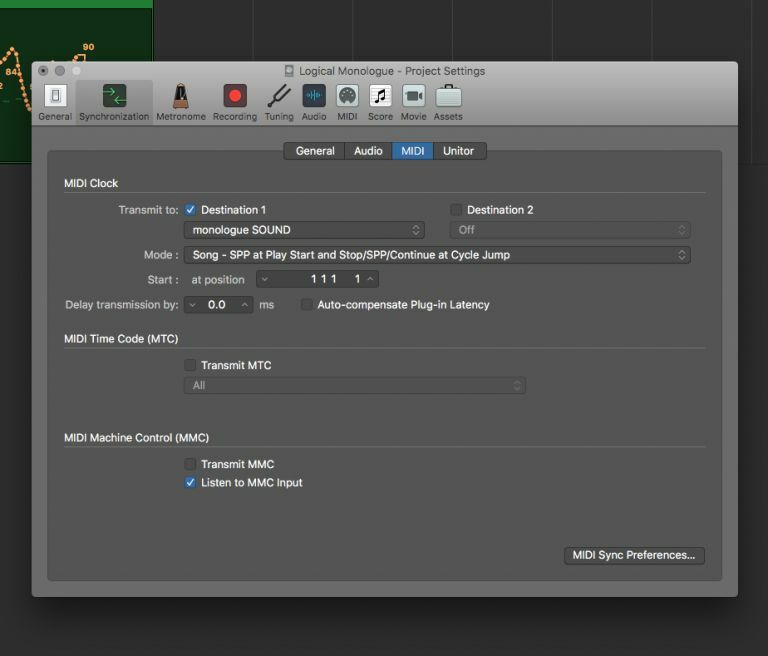 When stopping playback in Logic, Monologue displays “CLOCK USB” on its display to show it it’s synced to Logic Pro’s BPM. 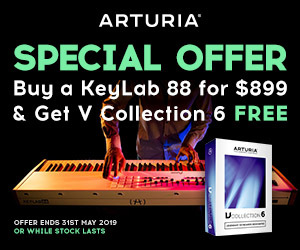 Once you’ve finished recording the audio from the synth, bypass the original external instrument plugin so that you don’t hear the live input from the synth and the audio you just recorded. Stop recording when you’re done! 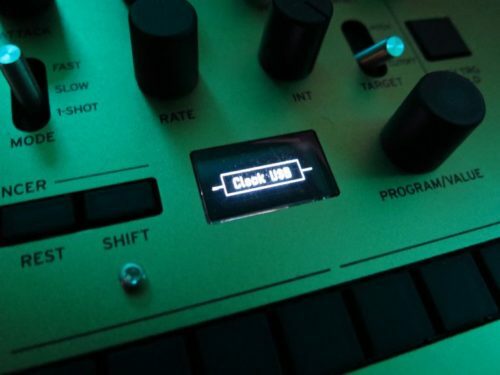 Again, remember to bypass the live input from the Korg Monologue on the External Instrument plugin after you’ve finished recording. 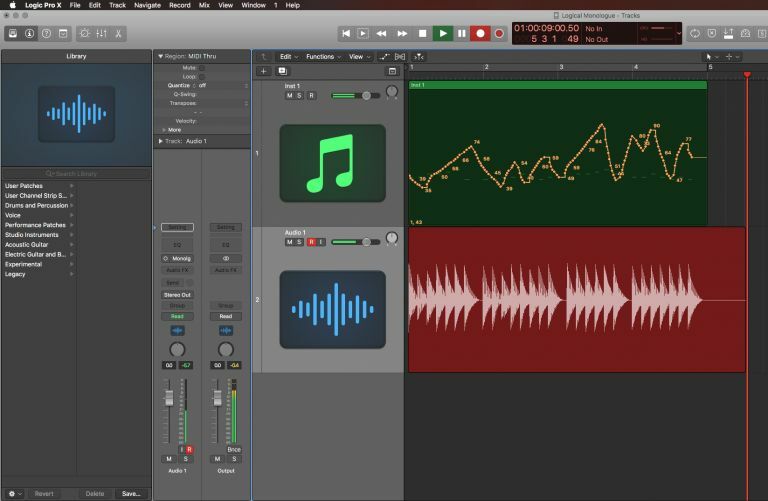 When recording external sound sources, such as the Korg Monologue, into Logic Pro – or any DAW for that matter, latency will always be present. 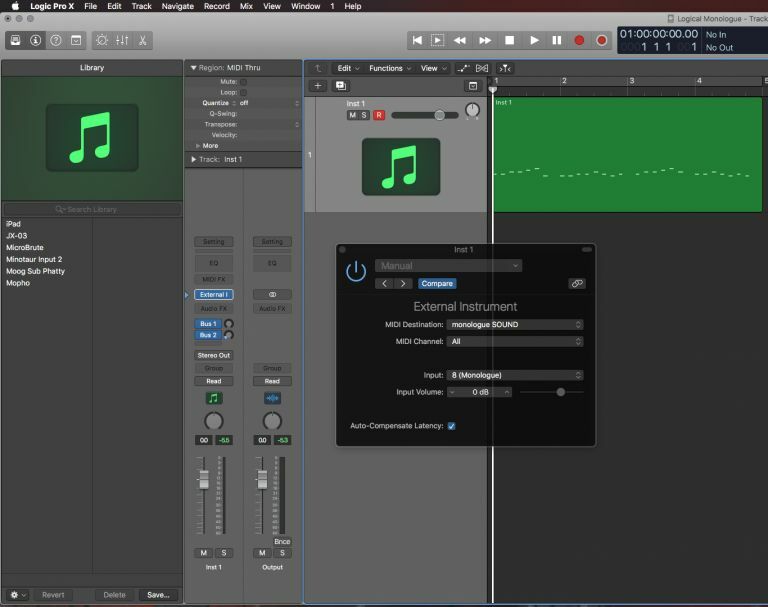 You can minimise latency by ensuring your computer’s operating system, soundcard drivers, DAW software are all up to date, and by tweaking settings. But the simplest way to deal with latency is simply to nudge the recorded audio left or right until the timing is correct. Alternatively, you can nudge the audio slightly before or after the beat in order to create urgency and push the track forward, or create a groove or that elusive swing by pulling the track back. These are purely creative choices. To easily save, load, reorganize, and rename the Korg Monologue’s presets, download and install the free Monologue librarian software here. If you’re using a different synth, consult your manual for further information on librarian software. This post was inspired by this article by Darren Burgos.